We weren’t allowed to eat Cookie Crisp growing up. Our parents said unreasonable things like, “It’s just a box full of cookies, not a breakfast cereal.” Logically we understand this is true, but at the time it seemed decidedly unfair. Well now is our chance to get back at them with something even better than tiny cookies: tiny Pop-Tarts. 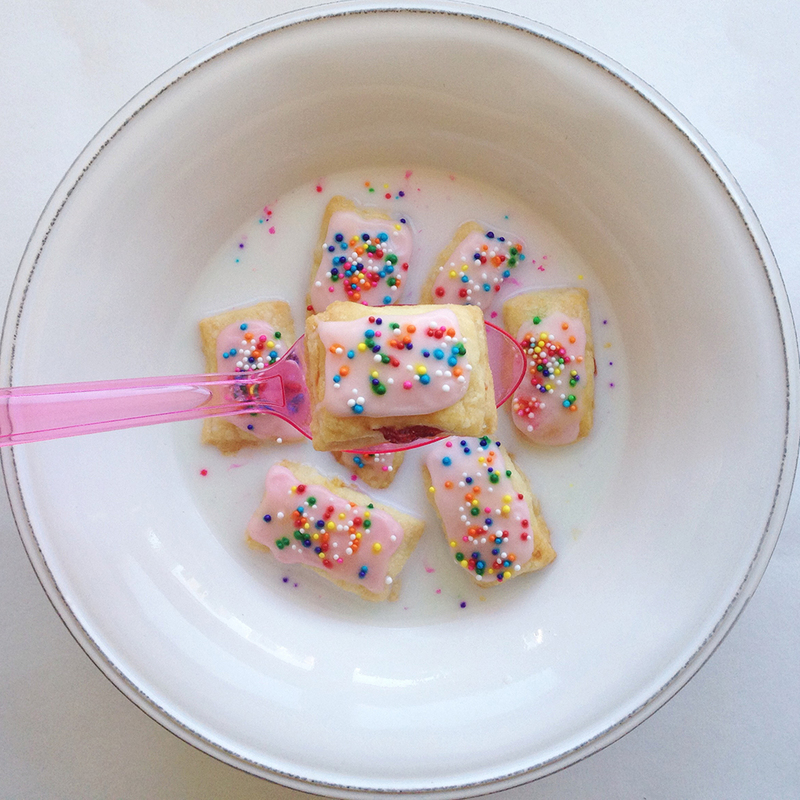 Caitlin Lee from the blog Public Lives, Secret Recipes has unveiled a recipe for homemade, mini-Pop-Tarts cereal. Homemade Pop-Tarts are a thing of beauty, and if Lee’s results really taste anywhere near as good as they look, the recipe is worth a try. Though if you want it ready for your 8 a.m. breakfast, you may want to set your alarm for about 4:30 in the morning—the process is a bit involved. Check out the recipe here. Or if you’re more of a lurker than a baker, you can check out awesome photos of some of Lee’s other creations, like her pizza grilled cheese, on her Instagram page.